In the philosophy of Alfred North Whitehead, the "consequent nature of God" is the Deep Tenderness. It is like a dark and starlit sky, on a January night, in which everyone is lovingly included: all the feelings that people and other creatures suffer or enjoy, all the stories. This side of God is infinitely tender. It is God as the Eternal Companion of life. It is a field of Tenderness. The empathy of this field not reduce people to generalities. It is particularized, made concrete, by people's lives and creature's lives. This is a good thing. People are so much more than their names, than the stereotypes through which others see them and, sometimes, they see themselves. "We had a fireplace there," she remembers. 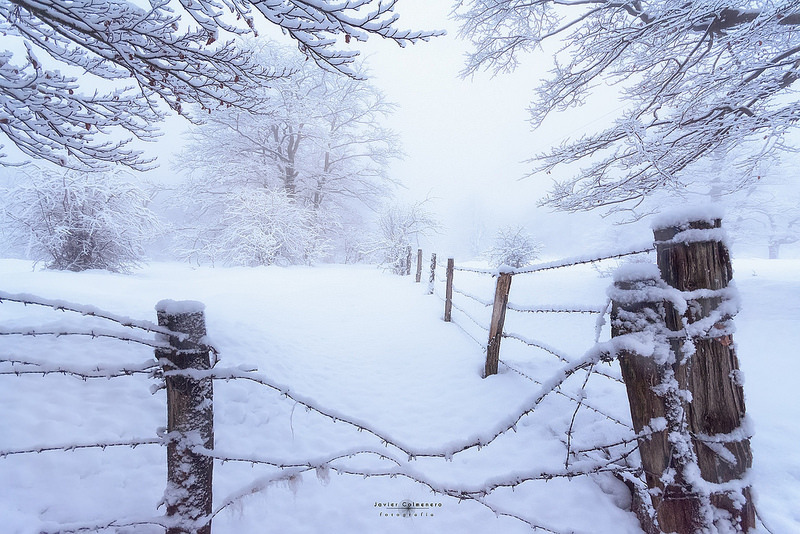 "And every winter — we spent every single winter there. I have memories of sledding down in the backyard; there was a hill that went down a path through this patch of woods. And we would just slide down the hill for hours. And then go inside and my grandma would make incredible hot chocolate with whipped cream and cinnamon — she was a heavy cinnamon user — and my grandpa would put a fire on, and we would be there. And my grandma painted. And she'd bring out all these crafts and we'd sit and work on paintings and making things ... My grandparents — and my grandma, in particular — defined homey coziness in my life when I really needed it. Just that feeling of being completely cradled. That was my safe space. It just had this particular smell — like potpourri and cloves and cinnamon. And it always smelled that way." Who knows what they contain? Will you love me like you loved me in the January rain? "At its core, "Mary" is a song about safety. Not necessarily physical safety — though that's part of it — but the offer of psychological, maybe even spiritual safety. It's the kind that is rooted in wholehearted empathy and gives refuge from the anxiety and fear and ego-killers the outside world so often afflicts us with; the kind afforded by childhood reveries and very particular, very special people. A song extremely deft with subtlety, its instrumentation is simple, mainly built on piano and songwriter Adrianne Lenker's honeyed voice. When writing, Lenker chooses words for their sound and meaning simultaneously, and here, she sings them with a delicate touch. In the song's chorus, her voice flutters between notes almost imperceptibly as she lists images from childhood memories, alliterative and filled with internal rhyme ("What did you tell me Mary / When you were there, so sweet and very / Full of field and stars / You carried all of time"). The song takes its time; it never breaks its steady tenderness. It is incessantly beautiful. "Mary" is the penultimate track on Capacity, Big Thief's sophomore album, a stunning example of sharp songwriting and storytelling. "Mary" stands out not only for the band's choice to swap guitars for piano, but for its extreme elegance and clear-eyed compassion. It is a moment to breathe in an album filled with intimate explorations of violence and pain — of their impacts and their aftermaths. Lenker first wrote the song in her grandparents' house, where she spent many winters as a child; it's a place she remembers as one of warmth and safety. She says the song's namesake is a real person, too, a friend she met in college. It is wholly unsurprising to me that this beautiful song was inspired by the powerful intimacy of female friendship; often, in a year when sexual violence and misogyny never seemed to leave the headlines, this was the first and only place we felt safe and understood. "There's really nothing like meeting a real friend on this earth who holds a space for you to be yourself," Lenker said of Mary. In crafting this homage to her dear friend, Lenker provides that blessed space for her listener, too." 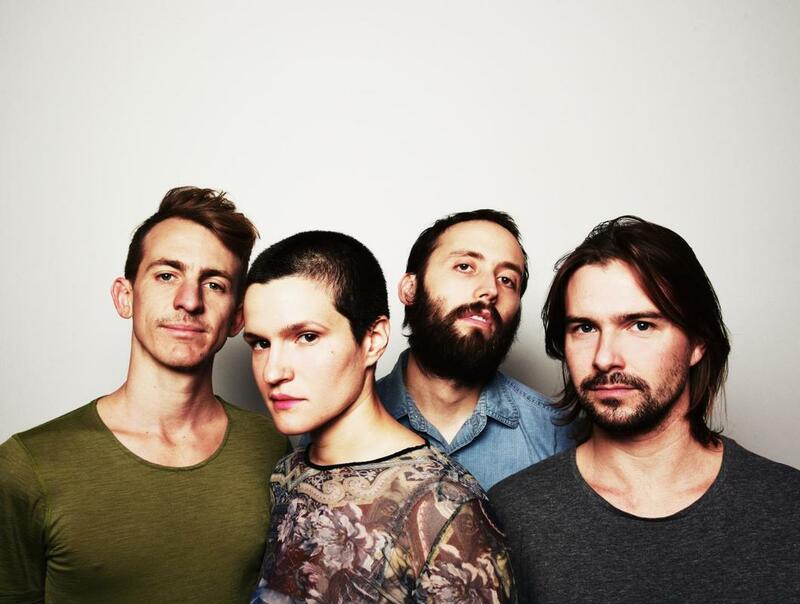 Big Thief, from left: Buck Meek (guitar), Adrianne Lenker (guitar, vocals), James Krivchenia (drums), and Max Oleartchik (bass). -- The Strange Majesty of Big Thief, Newsweek, by Zach Schonfeld.